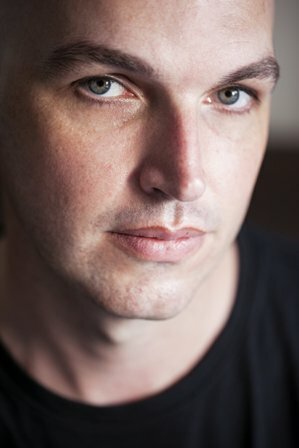 Patrick Bryson is a fiction writer and essayist. His work has appeared in Southerly, Tehelka, The Lifted Brow, The Times Of India, Motherland, Out of Print,The Shillong Times and Mascara Literary Review. He was awarded his PhD in Creative Writing from the University of Newcastle, Australia in 2009. 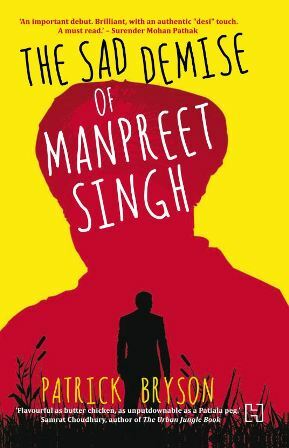 His first novel, published in 2014, is The Sad Demise Of Manpreet Singh. Visit him here. NAW – Tell us about your book, The Sad Demise of Manpreet Singh. How did you get the idea for it? What is it about? It’s about an Aussie guy working at the Australian High Commission in New Delhi, who investigates the mysterious death of one of his colleagues. The book follows his journey through a world of dodgy visa agents and corrupt officials, as he tries to shed light on a cover-up. I’d seen some media stories about this sort of thing, and then done a lot of travel in Punjab – where I discovered what a big deal it was for people to get a visa to go abroad, and what a huge industry there is in helping people to do it. NAW – What drew you to writing? It was just something that I could do well from a young age, without really thinking about it. I’ve always had the ability to imagine what it was like to be someone else, and convey that on the page. I remember when I as about 12, being given a writing exercise in class. I had to write a story from the perspective of teenager who has just found out that she was pregnant. My teacher, a young woman herself, gave me a perfect score. I still remember the nervous feeling I had as I finished the story, and the slightly embarrassed way in which I handed it in. I guess it was a form of method writing, where I became the character. I repeated the experience again not long after, where we had to write an epilogue for the novella The Outsiders, in the voice of Ponyboy, S.E Hinton’s narrator. The teacher had given the bulk of the class really low scores for that, but got me to read mine out. I took the ability for granted though, and had no idea how to control it. That took years of hard work, and is still ongoing. NAW – What can a reader expect from The Sad Demise of Manpreet Singh? An entertaining story, well told, with a cool, urban voice. NAW – Tell us about the character of Biscuit. How did you develop the character? I started with the hangover that opens the novel, and took it from there. That one scene gave me his character, tone and worldview. NAW – You have touched upon a very relevant issue, that of visa fraud. But Biscuit can be developed further since it’s such a delightful character. Are there any plans to write a sequel or another book featuring Biscuit? NAW – How did you manage to write such a desi novel? After reading it, we visited your website and were pleasantly surprised to find out that you weren’t Indian. How much research went into the novel given that you wouldn’t have had a first experience of Indian society? I’m not Indian, but I am a Person of Indian Origin card holder – by marriage – and my son was born here. I’ve been living in India full-time for five years, and had visited annually for the five years before that. So I’ve spent a lot of time on the ground as a resident Indian. I was very much writing about what I know, in describing life in Delhi and Punjab. NAW – Tell us about your other works. After I completed my PhD in creative writing we came straight to India. Since then I’ve published essays and short fiction in journals and magazines in India and abroad. I’ve written about the Australia-India relationship, and about being Australian in India. I’ve also written about the northeast, where I have spent a lot of time, and about music – one of my other loves. NAW – Tell us about your publishing journey. It took me a long time to break through, but I needed the time to develop. It started by placing short stories and poems in online journals. That was over ten years ago. Once I started my PhD I got the confidence to aim a bit higher, and within a year of finishing I had published stories both in India and Australia. But I couldn’t sell my first novel, written as part of the PhD. It was autobiographical, literary fiction, and I tried everything I could to get it noticed – but it didn’t happen. Then in 2012 I had a minor disaster. One of my stories, After Five Years In India was shortlisted for the Commonwealth Writers Short Story Prize, but I had sold the story to an obscure American journal for $50, and signed a contract, a few months before I found out. I had to withdraw from the competition. At the time I felt like I’d blown my one big chance. Thankfully, when it came time to submit The Sad Demise to a publisher, I had one of those dream encounters. I sent the synopsis on a Friday afternoon, Hachette immediately requested the whole manuscript, read it over the weekend, and within a week I had signed a contract. It was a great weight off my shoulders, to have achieved it after so many years of trying. NAW – Tell us about yourself. What do you do when you are not writing? In the last few years I have gotten into long distance running, and in a month I’ll be running my second Delhi half-marathon. I also love my cricket, and play for an expat team not unlike the one that Biscuit plays for in the novel. Otherwise I’m spending time with my son, or going to the office. I have to work full time Monday to Friday, so I don’t get a lot of time to read and write – or play music, which I adore. But I’m not complaining. Life is good. NAW – Please name your favourite writers. Are there any who you’d like to name as an inspiration? Clive James, Roberto Bolano, Hillary Mantel, James Ellroy, Junot Diaz, Mark Twain, Stephen King, Salman Rushdie, Gore Vidal, Peter Carey, Elmore Leonard, Anjum Hasan, Leonard Cohen – there are plenty. I reserve the right to adjust the list at a moment’s notice. NAW – Any advice for aspiring writers? Never give up. Nothing is wasted. Each disappointment is worth the effort, and will help you down the track – so that your failures will actually become part of your triumph.